A banjo that brings Washburn back to its roots. Washburn has been building banjos since the late 1800s. Their older instruments were considered some of the finest of their day. This heritage is not lost in the instruments, like this B9 banjo, that they handcraft today. Pros and amateurs alike enjoy Washburn instruments for their outstanding tone, build and value. 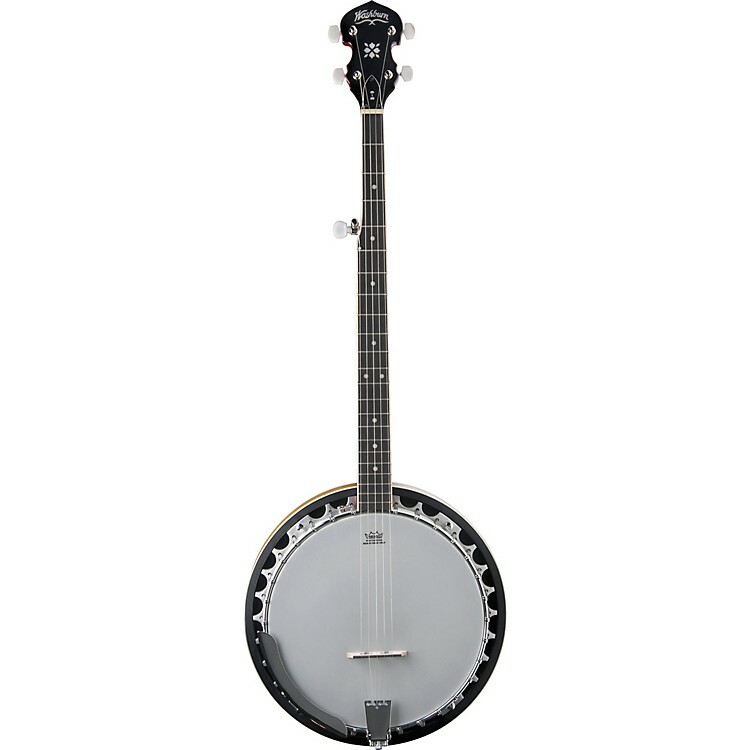 Part of their Americana series, the B9 banjo features a mahogany body and neck, Remo top, and rosewood fingerboard. It also features a mahogany resonator with an aluminum rim, 11" grooved tension hoop, a chrome armrest and geared 5th-string Planetary tuner. Over a hundred years in the making, grab a B9 today.